Deanna Maio loves teaching service business owners how to significantly grow their business while still having time to live a great life. She started coaching in 2005 to help busy service providers get the information, support, and accountability they needed to deal with the sometimes overwhelming prospect of running and growing their business. Prior to starting her own business, Deanna spent over 10 years as a manager, instructional designer and workshop facilitator. She’s supported leaders and managers inside the tiniest dot com startups to her role as Director of Learning and Development for a subsidiary of Merrill Lynch. She has experience in the hospitality, health care, information technology, human resources, and financial services industries. An unconditionally supportive coach and sought-after speaker and facilitator, Deanna is known for her passion and dedication to helping her clients create better results faster and easier than ever before. 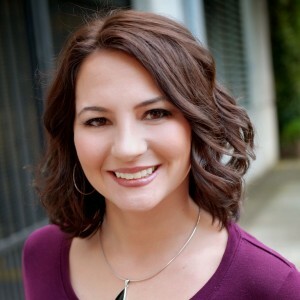 Deanna is a creator of the Get Free Help With Interns System, End Marketing Overwhelm Forever, and the HANDS Free Team Formula and is a co-author in the recently published book, GPS for Success:Goals and Proven Strategies with Steven Covey and Dr. John Gray. When she’s not supporting entrepreneurs and business owners, she’s busy singing with her own 1950s lounge trio, Deanna & the Downbeats. Schedule a free Strategy Session with C&GR Coach Deanna Maio and discover how one-on-one support from a C&GR Coach can dramatically accelerate the growth and success of your coaching business. "I worked with C&GR Associate Coach, Deanna Maio, for 6 months and it was great. I essentially started from near nothing and ended up with 9 one-on-one clients generating about $5000 per month in revenue. Plus my pipeline is growing and my comfort level with the marketing and sales side of the business is amazing now. Deanna was perfect for me in her approach, knowledge and care."